Magento Search extension is a Ajax search module for Magento. It combines all advanced techniques for searching online. Magento Search extension is a Sphinx module search engine for Magento 1. It combines all advanced techniques for searching online. The extension is replacing Magento native search engine with Sphinx as external search engine. The search engine is much faster, reduce server workload. 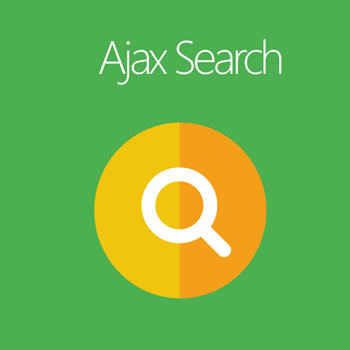 Thanks for Ajax technology to load and display search result smoothly and effectively. Searching always plays an important role in increasing selling chance as well as satisfying customers with advanced technical issue. Magento default just support a simple searching function that includes limited feature and takes a long time to show the search result with product details. Therefore, our Magento 1 Search extension will eliminate all aforementioned weaknesses and reach your customers’ satisfaction. Why Mageplaza Search M1 extension? Mageplaza Search extension for Magento 1 is the perfect solution that improves your searching system. Your website will be more optimized and flexible in searching product as well as get more satisfied customers and more sales by installing our Search extension. Customers will see the searching result immediately after entering the keywords by Autocomplete search feature so that they can search quickly and save more time. Moreover, Mageplaza Search extension for Magento 1 is also the best choice for the large-scale E-commerce store with the enormous number of products because this extension supports more than a million of SKUs for the quickly searching system. This feature allows to show the searching result immediately after you start typing the first keywords in search box. The desired products will be displayed as a drop-down list that helps customer make a choice more easily and faster. Customer will look obviously some necessary information of each listed product such as image, full name, price and short description. The search system will be active whenever customer enter 1 character in the box search. Admin can set to start looking up from 1 character or other number of character as they want in the backend. Mageplaza Search extension for Magento 1 supports search option with more than 1,000,000 SKUs. If your store is big one and having more than 1,000,000 items, our Search extension will be the best choice for you. Magento 2 search version is available now.